As I said before, at first I had huge problems deciding on an anti-hero for the last AHPC theme round at first, but in the end I could not pick between Discworlds Death and this one. So what do we have here. 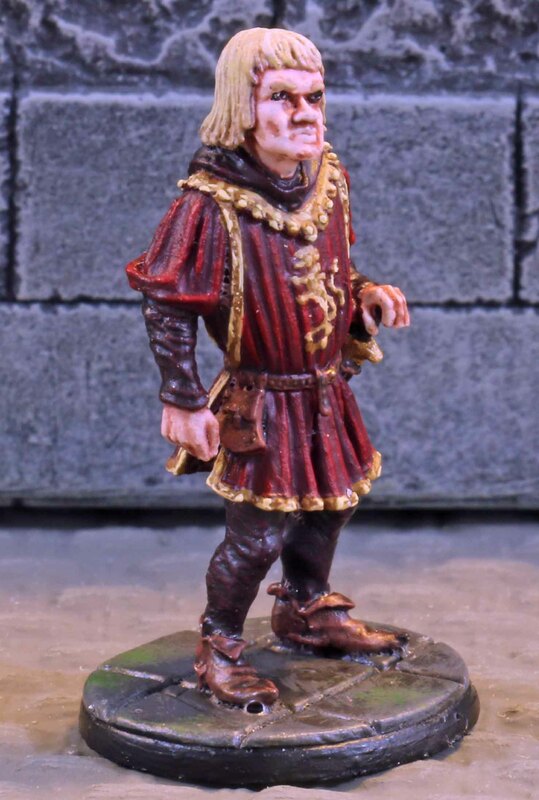 It is Tyrion Lannister from George R. R. Martins “The Songs of of Ice and Fire” (or Game of Thrones for those who rather watch TV ;-)). I know at first he seems like an unlikely Anti-Hero. At first glance he seems to be almost more mischievous than everyone else in the series, which is hard to be honest. He does his best to gain personal power, advance his family at the expense of others and to lure those into traps that he can not manipulate. Not the nicest person, right? Well , but if you look closer he has many good aspects about him. He tries his best to reign in the sadistic and at times (well most times) sociopathic character of his nephew Joffrey and when married to poor Sansa Stark for political reasons refuses to consummate the marriage, not to cause her extra pain. 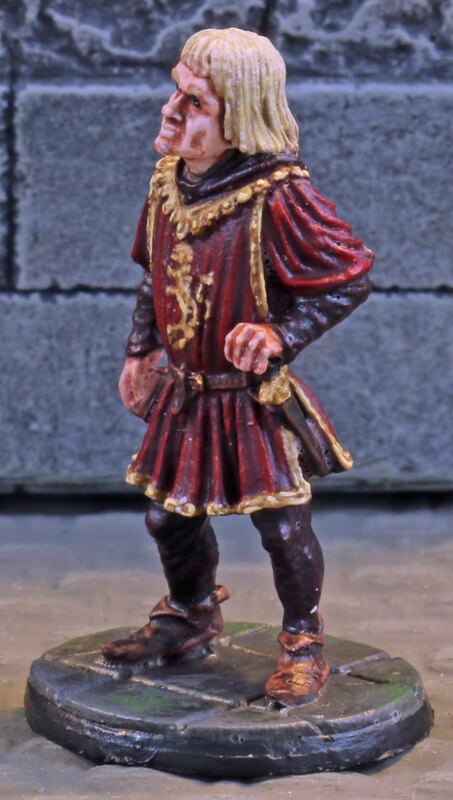 When you look closely, most of the time his actions that seem to be in favor of his family, actually are in favor of the people of the realm and usually he does not get the the appreciation he would deserve, but rather a kick in the behind. Being born a little person and having his mother die in labour he was despised by his father and elder sister from day one and still he always tried his best to win his families appreciation. Not that he got it. What he got instead was them scheming against him and trying to kill him. So he ends up with a huge scar on his face (from an attempt on his life, while saying the capital) and having to flee to a foreign land to escape a death sentence for a murder he did not commit. For me, he is a perfect Anto-hero and actually on of my favorite characters in the books (and I am entirely glad George R. R. Martin has not killed him off (yet) in half a sentence like he did with so many other characters). 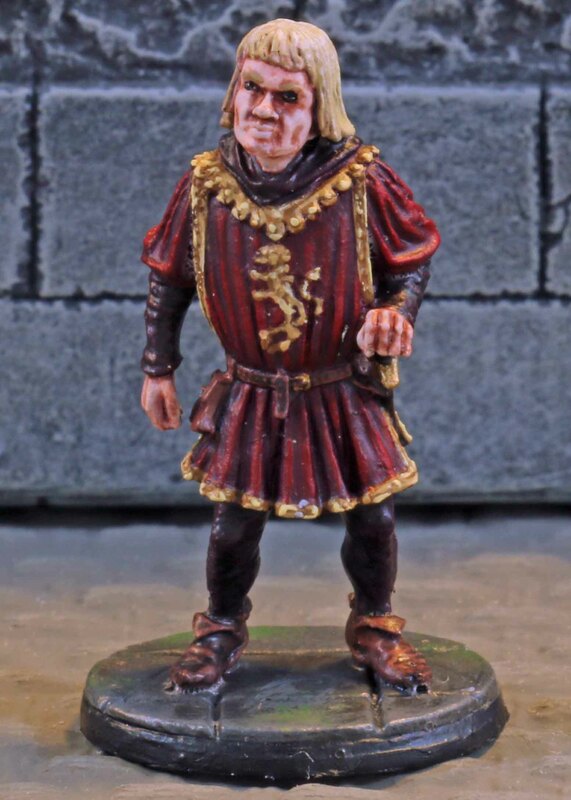 The miniature by Dark Sword is actually based on the character in the novel and not modeled on Peter Dinklage from the TV series. At first I was a bit sad about this, since I really like Dinklage´s acting and portrait of the role, but when painting him, it is actually a good thing, since I gave me as a painter much more room for artistic license. The mini itself is really great. 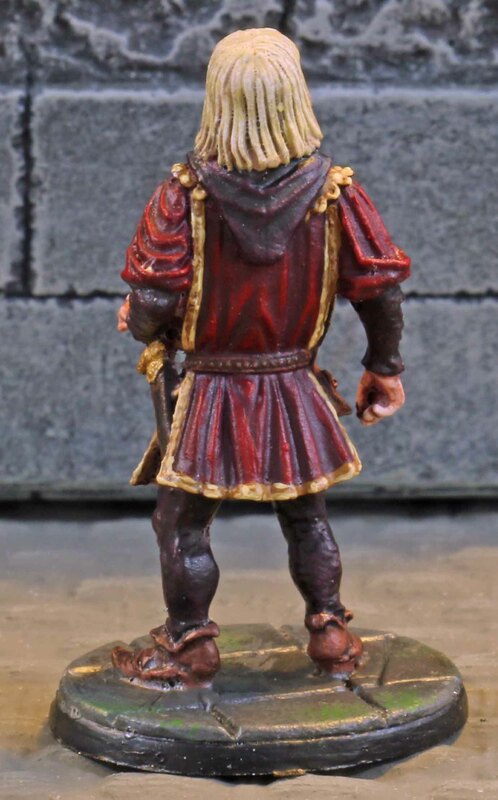 Nice clear line and a characterful sculpt. The only thing I did not like was the Lannister heraldry. For one I felt that the Lion had a strange shape. And it is only weak… hard to make out while painting (constantly had their website open while painting it), but to strong to ignore and just make it up. Really looking forward to painting some more minis from the series, which I got off their Kickstarter last year! All in all the mini was received quite well, ending me up with a 4th place. So the summary of all seven theme rounds is that I got to second places and was on the top five twice. Given all the competition out there, I think I can really be happy with the results!